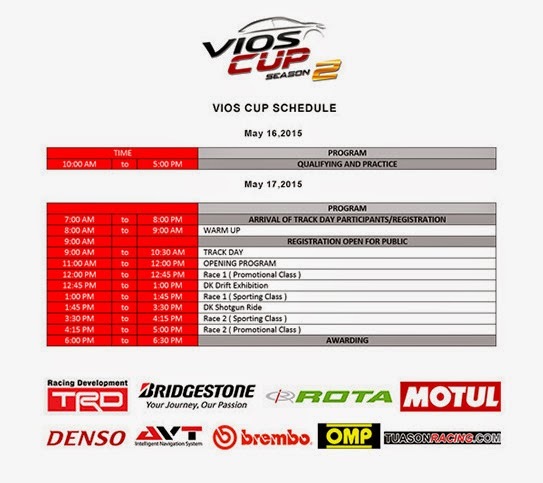 Updates: Toyota Vios Cup Season 2 this May 16-17, 2015 in South Road Property (SRP), Cebu City. 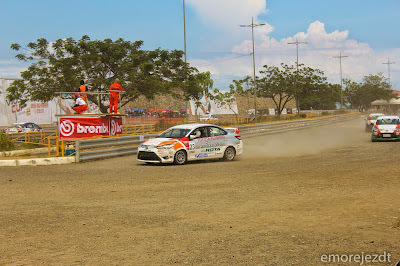 This is the biggest car racing event in Cebu and there are over 40 racers to compete. Several celebrities and foreign nationals will join the event. Sponsored by Toyota. Celebrity drivers Derek Ramsay, Jasmine Curtis, Kylie Padilla, DJ Sam YG, Jinno Rufino, Fabio Ide and Phoemela Baranda will be competing with thirty seven (37) other registered drivers during this race weekend. FREE ADMISSION plus Free Shuttle service from Ayala FGU and SM City Cebu. The first van/trip leaves at 10AM. The fun will start at 10AM and everyone is invited. Vios Cup Season 2 route and affected places. On the other hand, motorists must prepare for much heavier traffic in SRP on Saturday and Sunday during the car racing event and take note that the SRP will be close during that time. 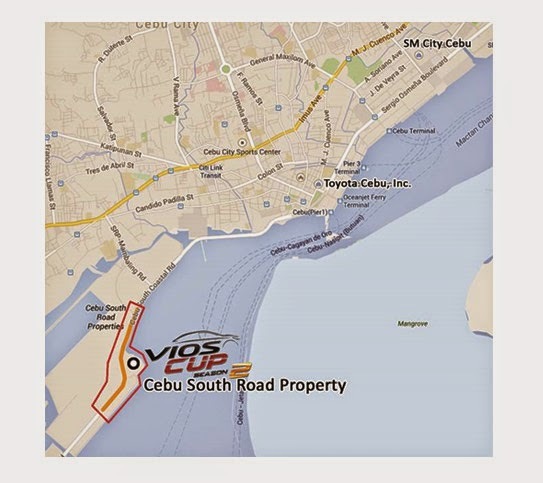 "Motorsports fans in the Visayas Region will now have the chance to experience a unique weekend as the BIGGEST motorsports festival will unfold in Cebu City! Qualifying Time Trials will be held on Saturday (May 16) while Race day and other fun filled activities will be held on Sunday (May 17.) Don’t miss the chance to witness a drift exhibition by Japanese Drift King Keiichi Tsuchiya with exclusive “shotgun rides” for lucky guests during the event! Lastly, a heart-pounding performance by DJ Mars Miranda is in store for the public after the race. Gates open at 10:00 AM. The event is open to the public, and admission is absolutely free!